Fire damage struck this Chicago home. 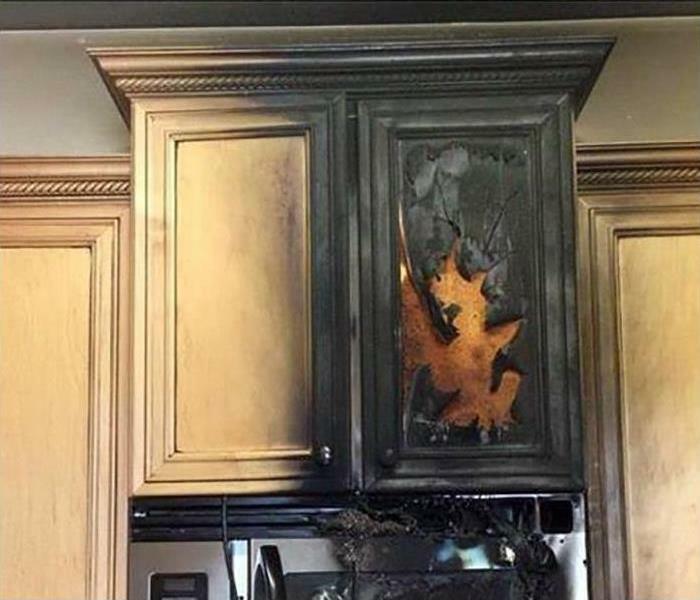 When fire damage such as this is encountered, you need to call SERVPRO to help you clean up. You can contact us 24/7 for service, we are locally owned and operated, and we pride ourselves on being “Faster to any disaster.” SERVPRO of WEST Loop / Bucktown / Greektown crews are industry certified and equipped with the latest equipment to mitigate your fire damage. Commercial water damage struck this Chicago ad agency When a water line broke. Quite a lot of water was deposited onto the floor of the offices before the water could be turned off. 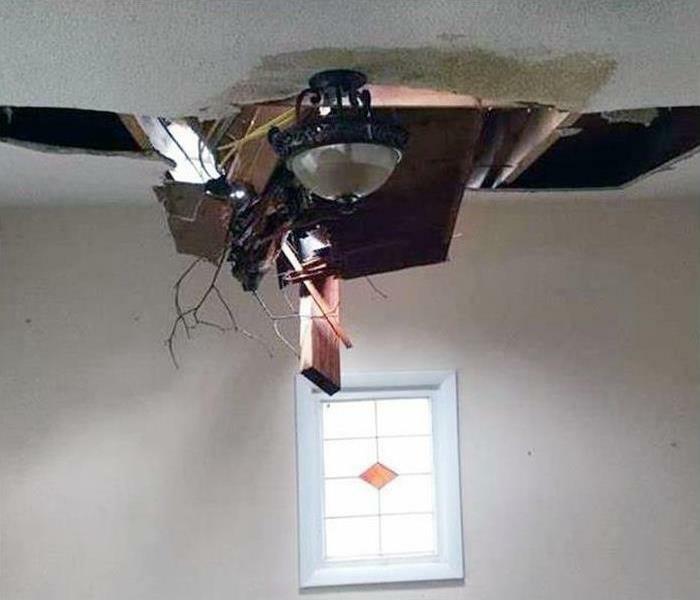 Prompt attention to the water damage would limit the damage. When it comes to dealing with mold timing is crucial. Our experts are ready 24/7 to assist you with your mold infestation. We can handle any size disaster, and our technicians are highly trained. SERVPRO of West Loop / Bucktown / Greektown has the mold damage experience and equipment to restore your home to pre-damage condition. 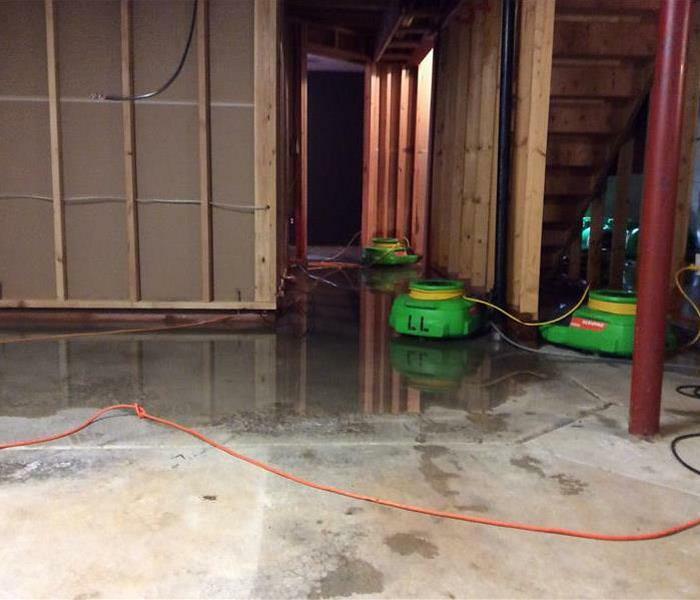 Water damage repair and restoration is best left to the professionals at SERVPRO of West Loop / Bucktown / Greektown. The water removal and water cleanup process are performed by our highly-trained water restoration technicians who will also document the drying process. 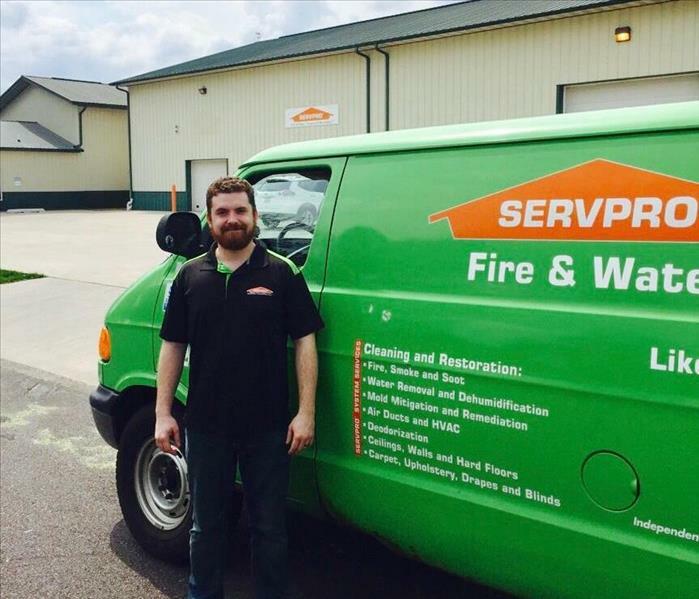 SERVPRO is a leader in the water restoration industry, locally owned and operated, and Faster to Any Size Disaster! Commercial smoke damage befell this Chicago motel room when a guest smoked in a non-smoking room. SERVPRO was told that the odor was very strong and asked for an appropriate remedy. Pictured is an ozone machine which removes odor from the air and the equipment that would be used in this project. The photo depicts a mold remediation service that has been isolated behind the plastic containment barrier. SERVPRO technicians, in the Bucktown area, can remove damaged materials, spray an antifungal agent, and even prime the framing to prepare for a rebuild. Water damage when it occurs in Chicago can’t always be seen by the naked eye or felt to the touch. SERVPRO of West Loop - Bucktown- Greektown relies on high-tech equipment to help locate and plan remediation for hidden moisture. Among the tools they employ is an infrared camera such as the one shown in the photo. 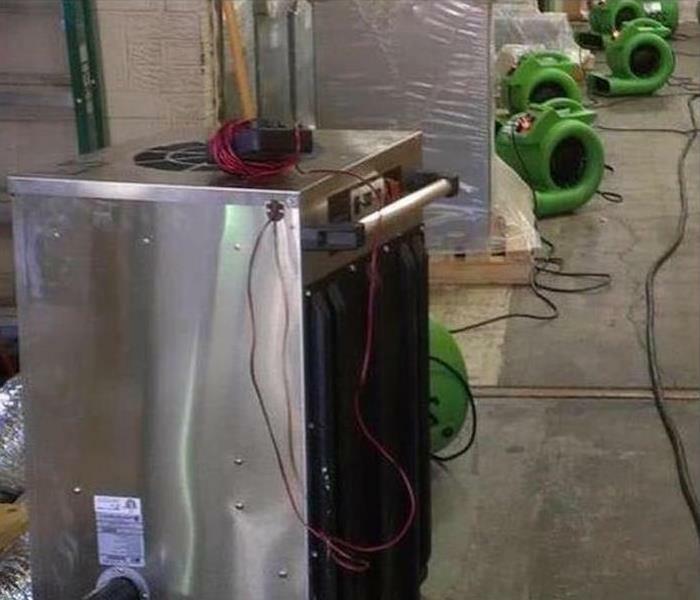 Storm Damage in Chicago can leave the site of the damage without power or without sufficient power to operate SERVPRO’s sophisticated equipment. 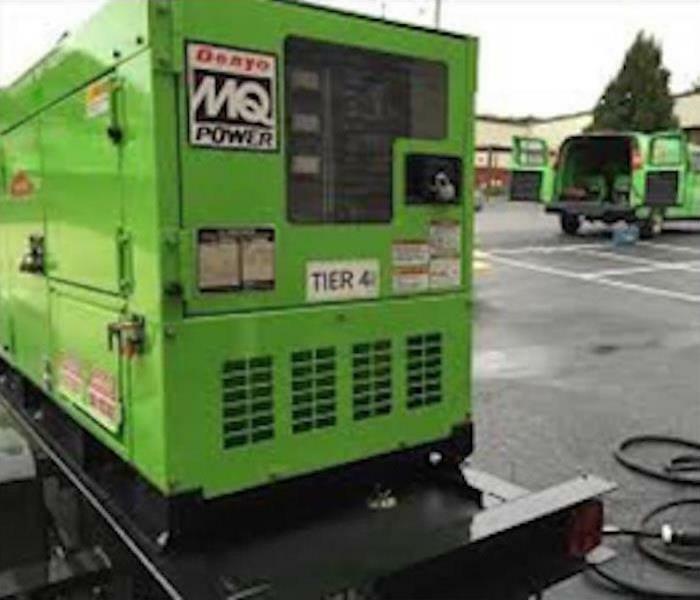 Our franchisees are able to bring their own power sources like the large commercial generator pictured above. This photo depicts mold growth in the crawlspace of a Bucktown property. The humidity level needs to be controlled to inhibit future infestations. An encapsulation of the entire space or at the least a stationary dehumidifier can help. 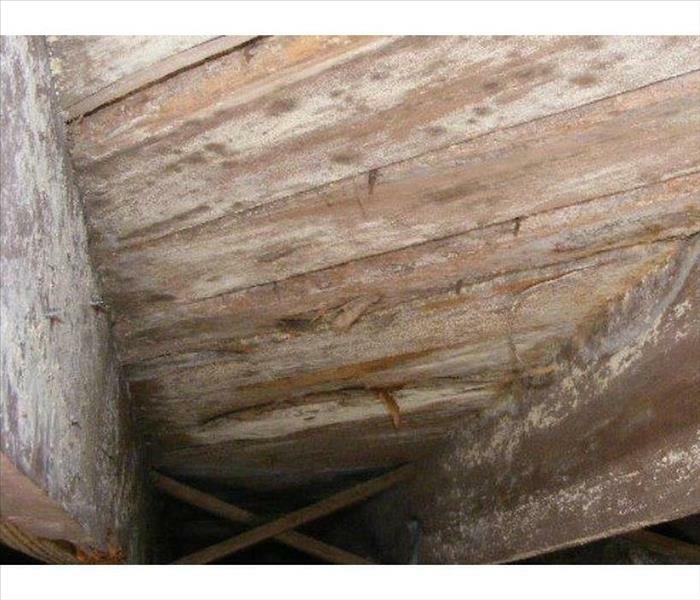 SERVPRO can "ice blast" the joists and planks to remove this infestation. Brenden Weaver our SERVPRO of West Loop/Bucktown/Greektown Production Manager is Gallatin TN for ongoing ASD training. 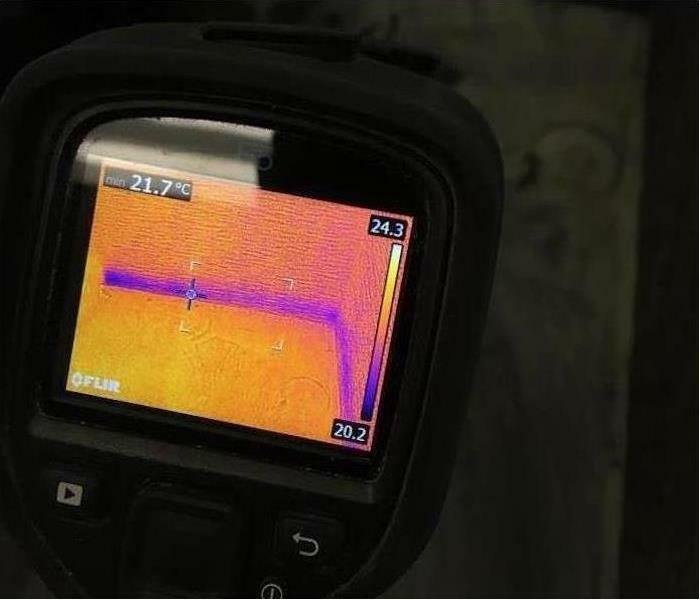 Applied Structural Drying Technician (ASD) technicians learn to dry water-damaged structures effectively and efficiently using monitoring devices, extraction systems, and drying equipment. The course includes classroom and hands-on training to develop technical and practical drying expertise. If you suffer water damage in the Chicago area, our experienced team can help at your residential or commercial property. 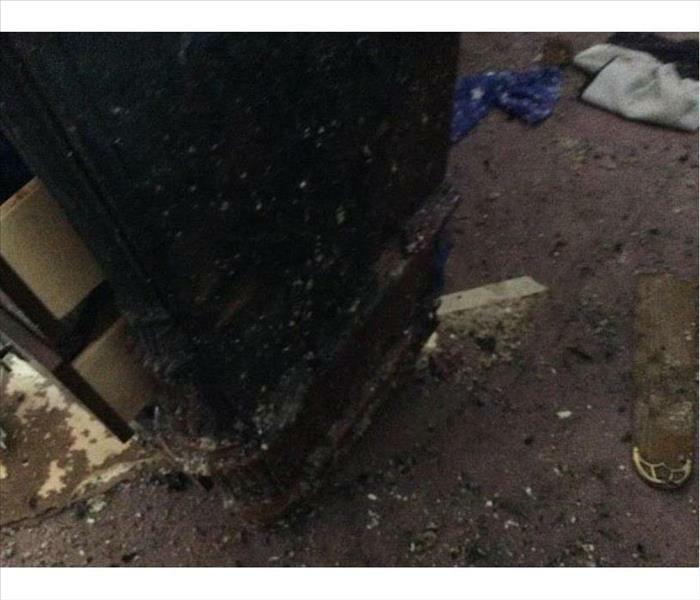 Smoking in bed often leads to fire damage as illustrated by this photo in a West Loop home. Cleaning up the charred materials, refinishing the hard veneer surface of the dresser, and smoke and odor removal are all doable. The expertise and equipment of SERVPRO is an industry leader. 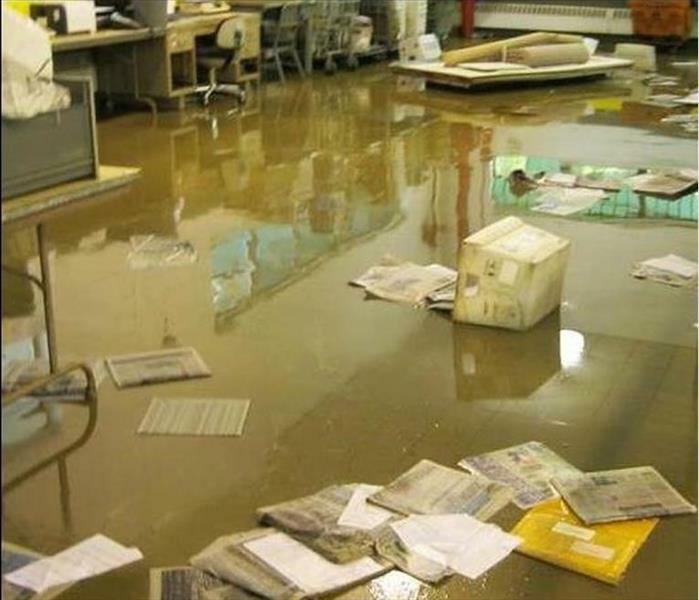 Commercial water damage occurred at this Chicago warehouse when the main water line burst. There was a lot of water covering the floors, but fortunately, it was clean water, so we just had to suction up the standing water and dry the affected surfaces. 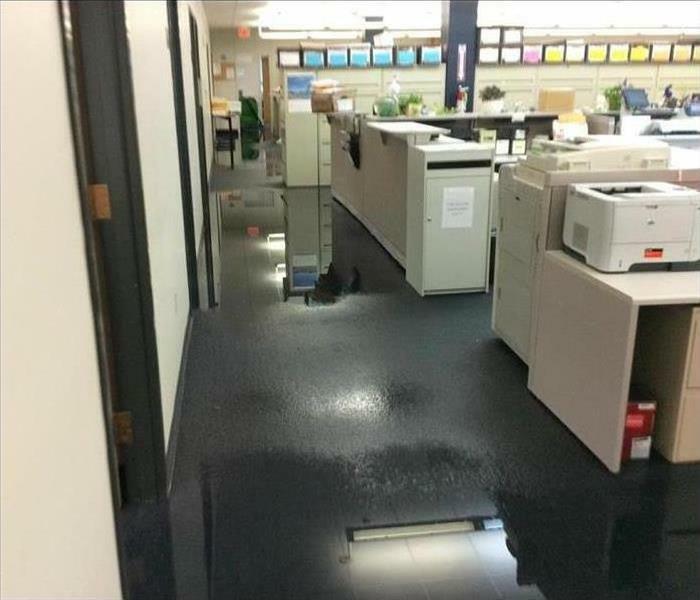 The flood pushed water onto the floor of this office in Greektown. We quickly started to remove the water with portable pumps; the wetted papers were tossed. 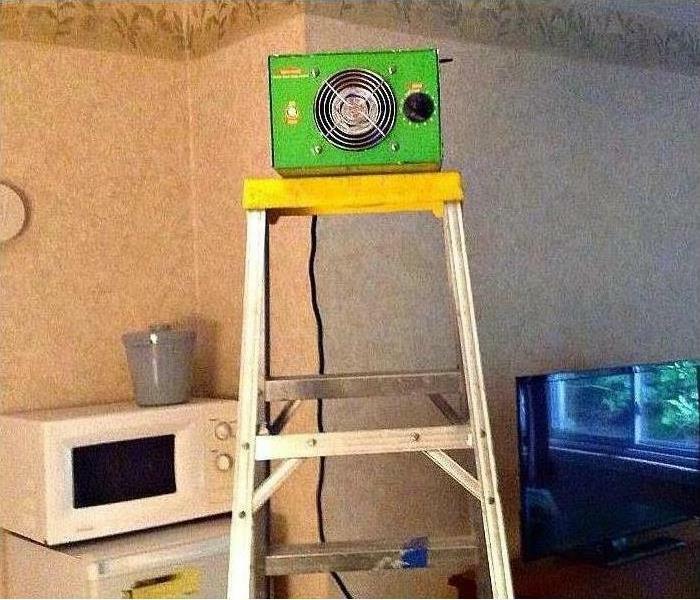 We set up dehumidifiers to extract moisture, further mitigating water damage. This mold growth formed at the base of the sheetrock paneling and the floor. The moisture from a leak in this vacant unit was not known for sufficient time for this fungi proliferation to ruin the lower portion of the wall. 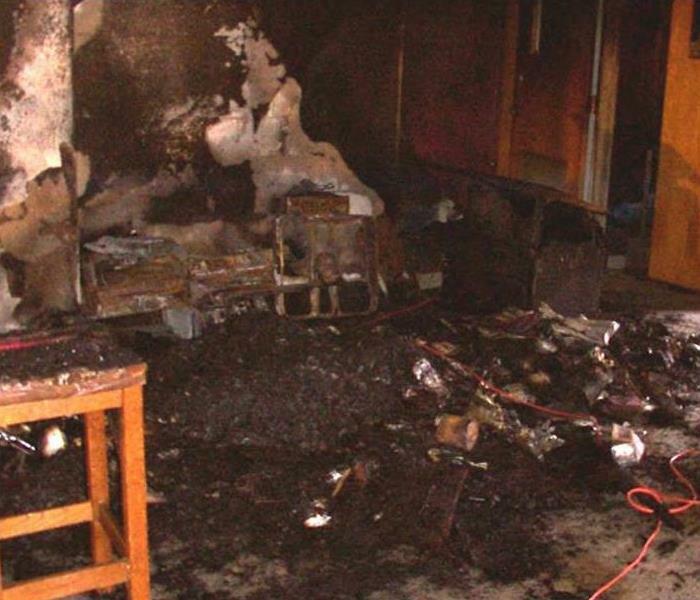 Fire damage to this Chicago School was devastating as the photo shows. Fortunately, the fire occurred in the summer when there were no students present. SERVPRO was contracted to clean up all the debris and take care of the water damage caused by the firefighting efforts. We also attended to the air quality after the cleanup was completed. This administrative office in Bucktown was soaked after a water line ruptured during the night. We arrived, suctioned out the standing water, and then removed the carpet tiles that were lifting up from the effects of the water. Here is equipment finishing up the drying process. We are proud of Tiffany and how she is developing her skill set as a SERVPRO technician. From practical field work, she has worked hard to gain IICRC certification for Fire & Smoke Restoration (FST) and Water Damage Restoration (WRT), two cornerstones of our industry. 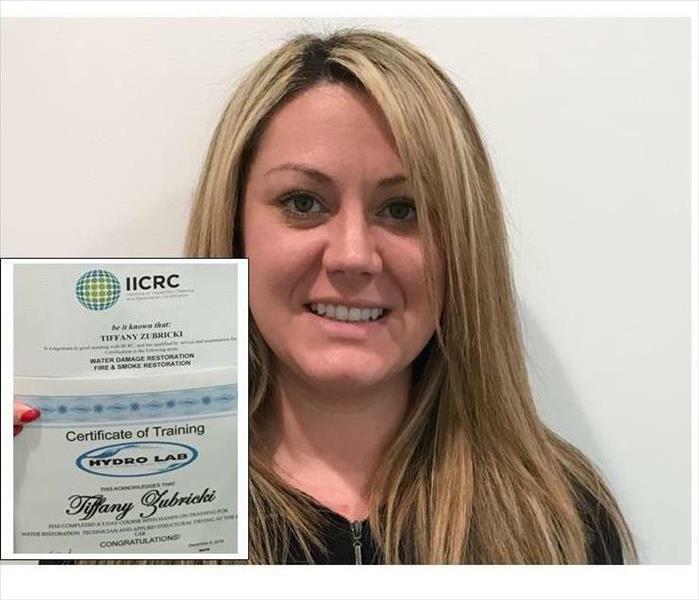 She went on to complete a 5-day course at the Hydro Lab for Applied Structural Drying (ASD) which is a very comprehensive program and has provided Tiffany with the job knowledge for continued successful. Congratulations, Tiffany! If major storm damage or flood damage strikes Chicago, the SERVPRO Disaster Response Team is always standing at the ready to provide emergency services. The Disaster Response Team is equipped to respond to any size disaster. The trucks are loaded and are considered on standby just waiting for a call to respond. If storm damage strikes your home or commercial facility, call SERVPRO of West Loop / Bucktown / Greektown at (773) 434-9100. 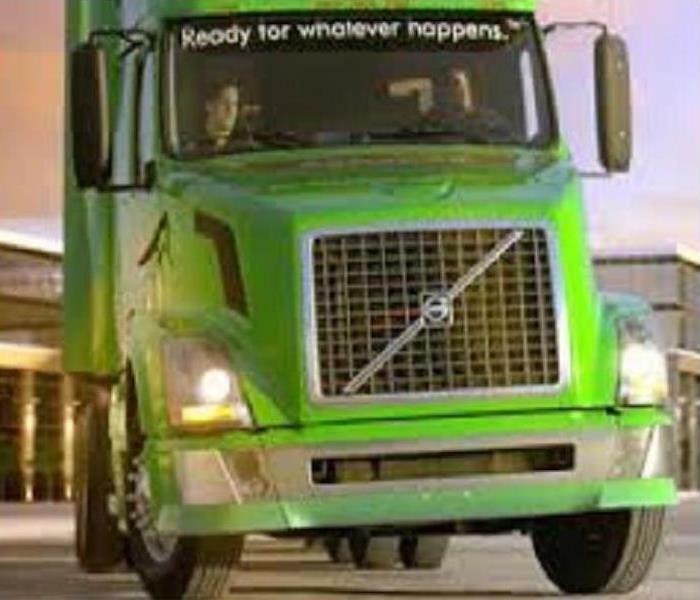 We provide 24-hour emergency service, and we are equipped to deal with any size disaster. Fire damage began at this Chicago home with a grease fire. Grease fires burn very hot, and this one was hot enough to jump right to the ceiling. 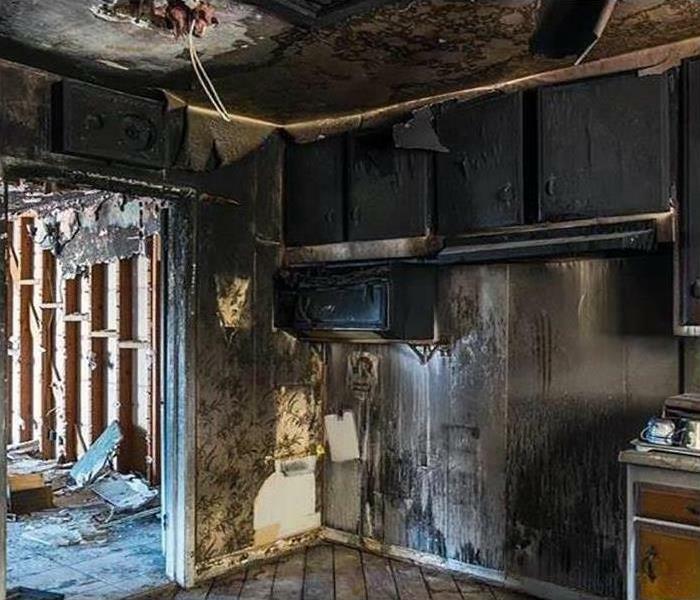 This fire created a total loss of the kitchen. We were required to tear out and clean up the fire damage. We cleaned and treated the entire home for fire, water, soot, and smoke damage while we were rebuilding the kitchen from the ground up. 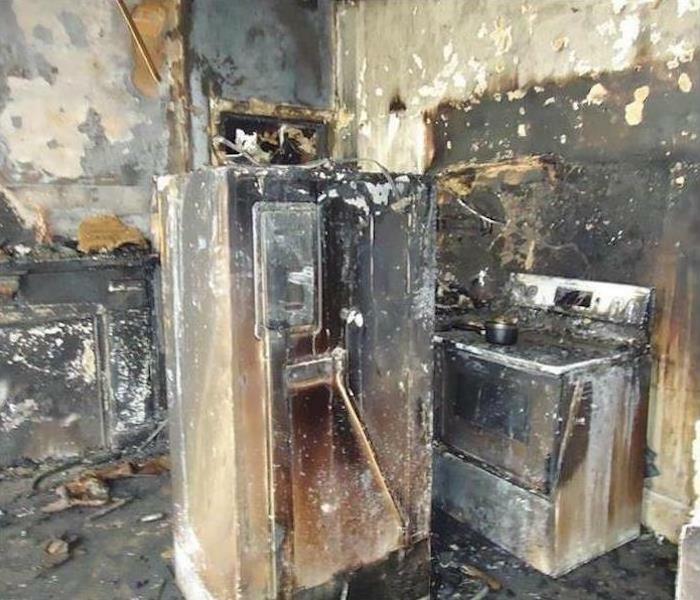 Fire damage occurred in this home when the wiring in an appliance shorted and sparked to begin the blaze. The kitchen was damaged the most, but soot and smoke damage were pervasive throughout the house. SERVPRO had tested and proven procedures in place to deal with all of the various damage scenarios in the home. If fire damage impacts your home or commercial facility, call SERVPRO of West Loop / Bucktown / Greektown at (773) 434-9100. 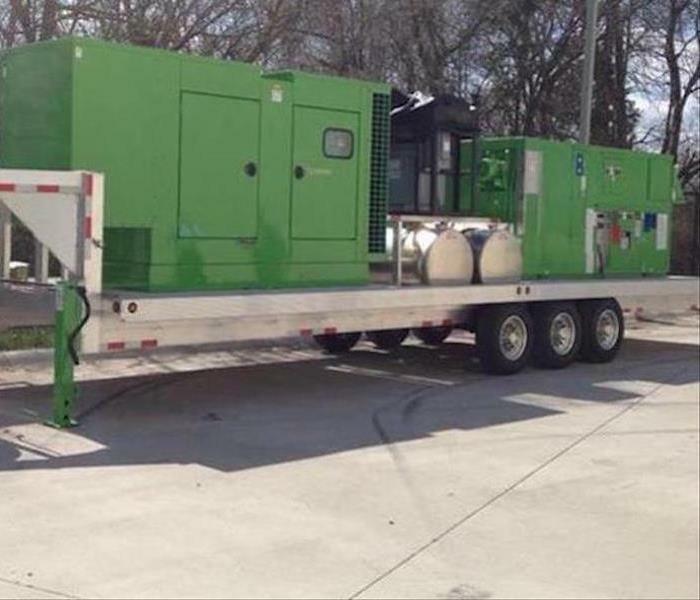 We provide 24-hour emergency service, and we are equipped to deal with any size disaster. 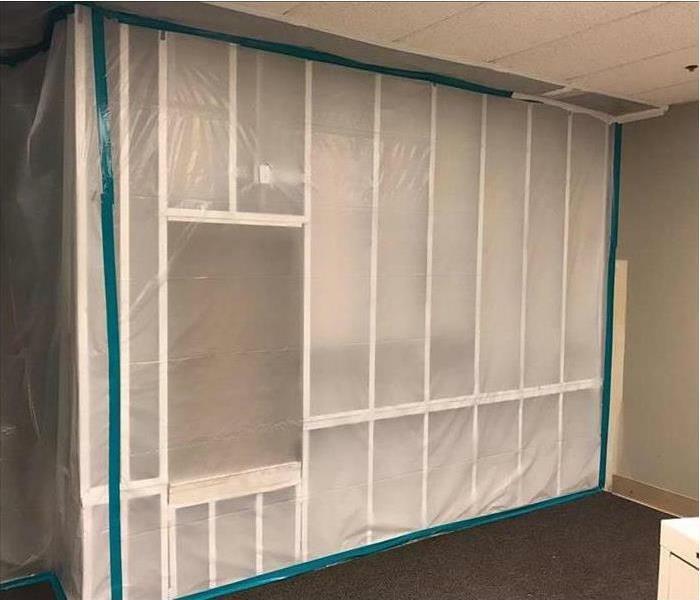 The pictured containment area was built before we began cleanup of a commercial sewer system backup at a Chicago office building. Sewer backups are very unsanitary and may contain bacteria and viruses that could be harmful to the occupant's health. If sewer damage impacts your home or commercial facility, call SERVPRO of West Loop / Bucktown / Greektown at (773) 434-9100. We provide 24-hour emergency service, and we are equipped to deal with any size disaster. Storm Damage in Chicago can reach gigantic proportions requiring heavy duty commercial equipment to mitigate the damages. 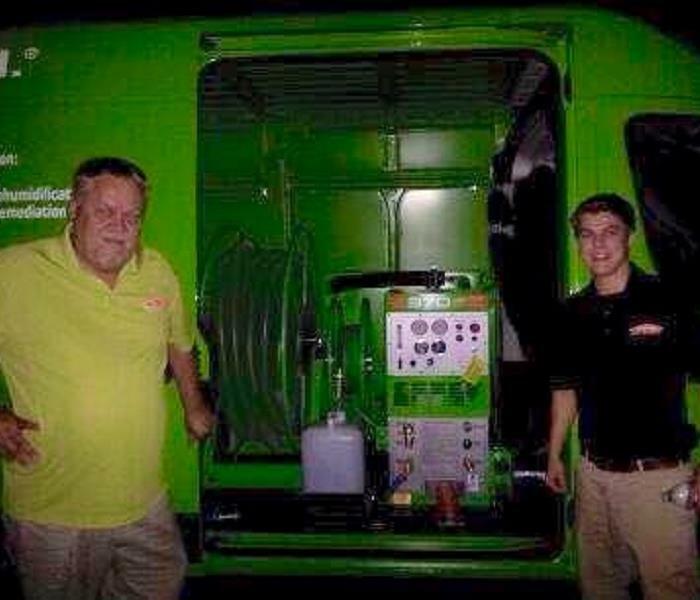 SERVPRO franchises are provided with the latest finely engineered equipment to bring to their restoration projects. If storm damage visits your home or office, call SERVPRO of West Loop – Bucktown – Greektown 24/7 at (773) 434-9100. We proudly offer 24-hour emergency service. The MileNorth Hotel suffered water damage when a bathtub on the 20th floor overflowed causing water damage all the way down to the 2nd floor. Our SERVPRO of West Loop/Bucktown/Greektown team quickly arrived to stem the flow of water and begin the drying out process. By quickly sending a full crew, we mitigated damage to the lower floors as we focused on keeping the rooms available without inconveniencing guests. 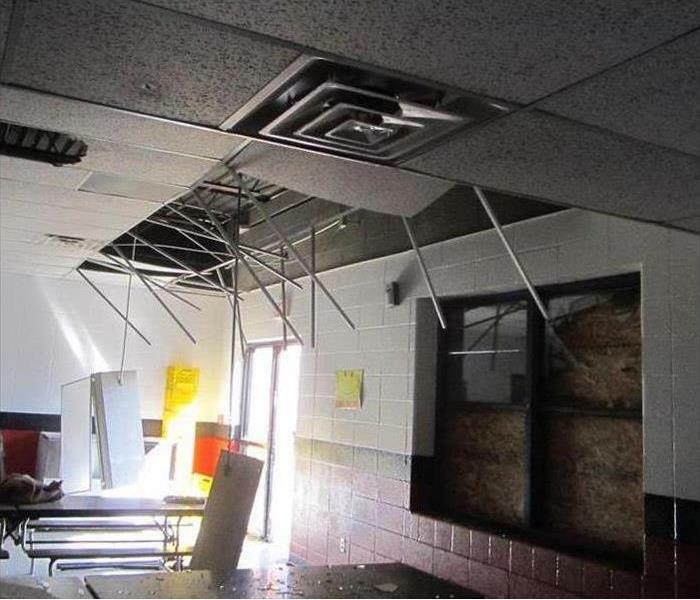 Our commercial water damage efforts and results are well documented as we strive to keep businesses in business. If your commercial building suffers water, fire or mold damage, call us 24/7 at (773) 434-9100. Emergency water damage cleanup was required at this Chicago hotel when a toilet was broken creating a water leak which persisted for five hours before it was discovered. 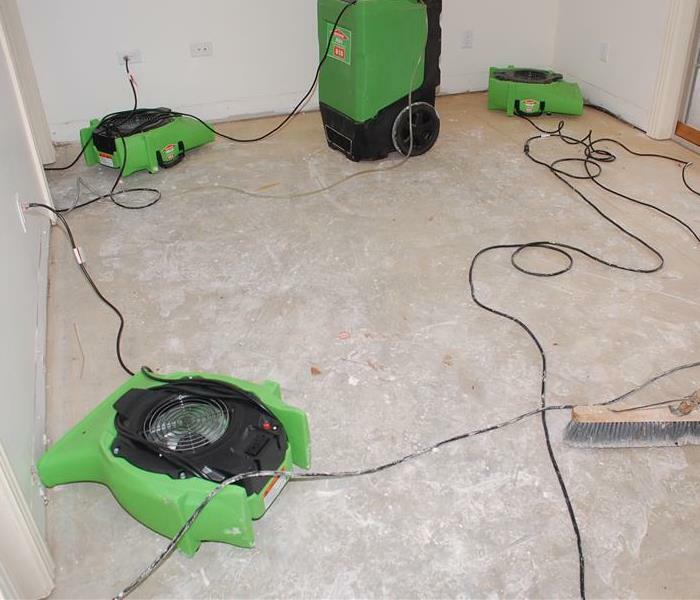 SERVPRO – Chicago was chosen for our experience in Large Commercial Loss Restoration. We were able to place a sufficient amount of water removal equipment and trained personnel at the job site to shorten the down time for the business. If water damage compromises your service to your customers, call SERVPRO of West Loop – Bucktown – Greektown 24/7 at (773) 434-9100. 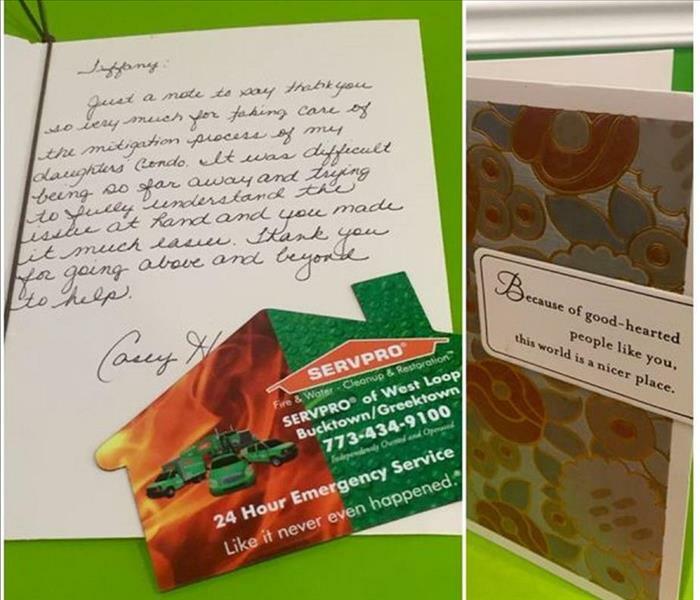 Our SERVPRO of West Loop/Bucktown/Greektown team member Tiffany was happy to receive the thank you note below from a satisfied customer. SERVPRO is a trusted leader in the restoration industry and our team is committed to helping our neighbors in the Chicago area during their time of need. You can count on us also. Water Damage in the Bucktown and Chicago area often requires sophisticated hi-tech detection devices. 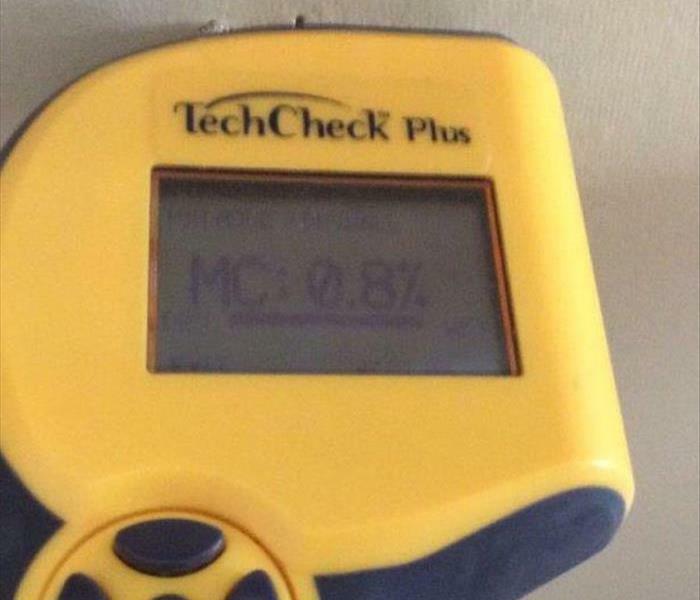 Pictured here is a tool that helps simplify the most demanding water damage repair job by measuring moisture. SERVPRO’s Chicago Franchises use these moisture meters in conjunction with thermal imaging cameras to locate high moisture areas. Determining the precise location and extent of water damage shortens the restoration process and helps property owners and insurance company reduce water damage cost. If you need a respected professional fire and water damage restoration specialist with the l latest equipment, call SERVPRO of West Loop-Bucktown-Greektown 24/7 at (773) 434-9100. 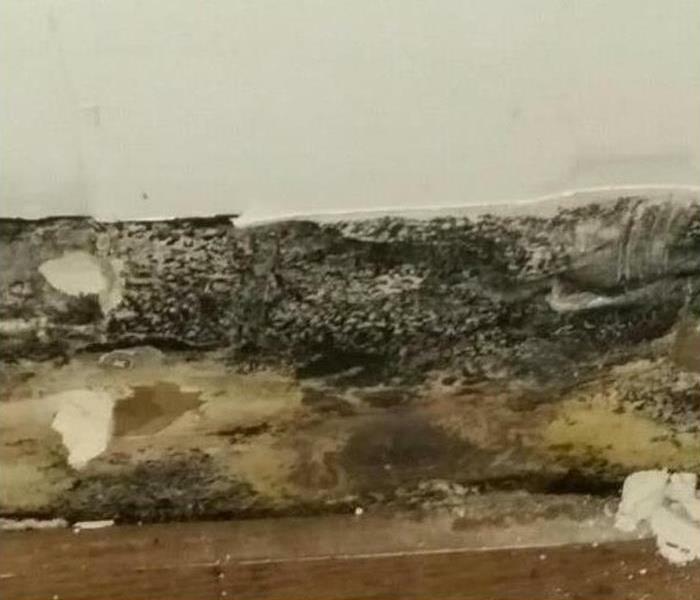 This Chicago home had mold damage spreading from an exterior wall that was constantly allowing water to seep into the kitchen. Mold growth can happen faster than one might expect if certain conditions are present. This photo shows just how pervasive mold damage in homes can become. 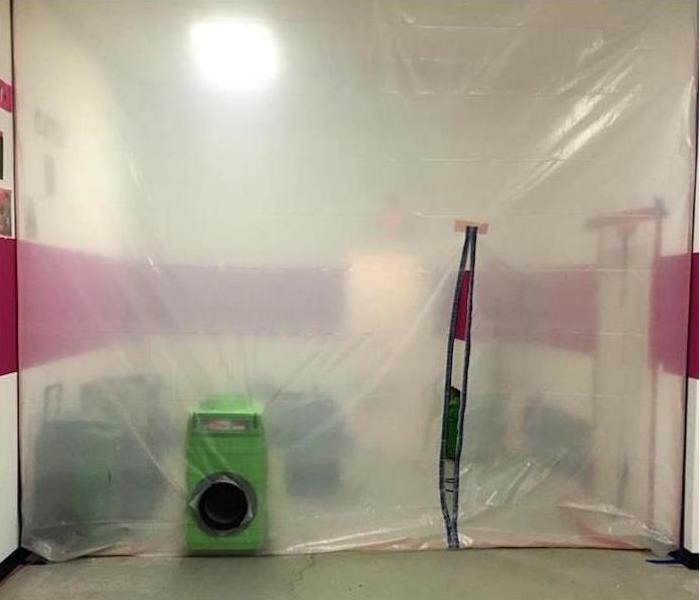 This mold removal project required an array of equipment and techniques. SERVPRO of West Loop/Bucktown/Greektown was up to the task. If mold damage creeps up on you, give us a call at (773) 434-9100. We are available around the clock to help. 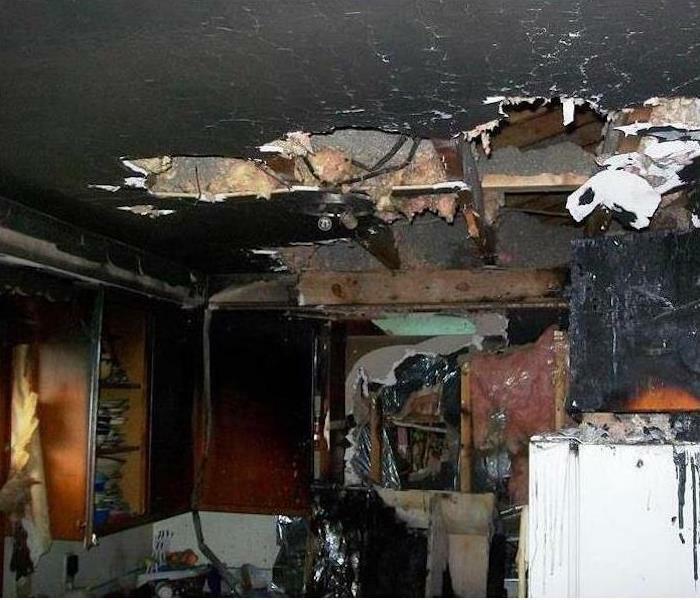 The water damage in this Chicago home depicted in this photo resulted from a large water pipe springing a large leak. SERVPRO of West Loop/Bucktown/Greektown removed the damaged flooring and drywall. They quickly set-up their equipment as seen in this picture to began the drying process. SERVPRO of West Loop/Bucktown/Greektown moves fast to correct the fire, water or mold problems with which our clients are confronted. Call the professionals at (773) 434-9100 any time, day or night. We are here to help. If you discover mold damage at your residence or in the workplace it is wise to have a professional mold remediation help you resolve the situation. SERVPRO of West Loop/Bucktown/Greektown can inspect and assess your property. Our trained & certified technicians know the science behind mold growth. They are experienced in identifying exactly the type of mold present and they are equipped with the appropriate equipment and procedures to provide mold removal services for your home. SERVPRO of West Loop-Bucktown-Greektown is available 24 hours a day 7 days a week for your emergency at (773) 434-9100. This Chicago homeowner escaped the potential for greater harm from mold damage to their property by seeking out a professional for mold removal. In addition to property damage, mold damage in homes that exceed acceptable levels can contribute to mold damage health related issues. Mold is best dealt with by professionals that are able to locate and identify the type of mold in your home. SERVPRO of West Loop/Bucktown/Greektown completed the project in this photo. The homeowner was very thankful that the mold was gone and pleased with the overall restoration. 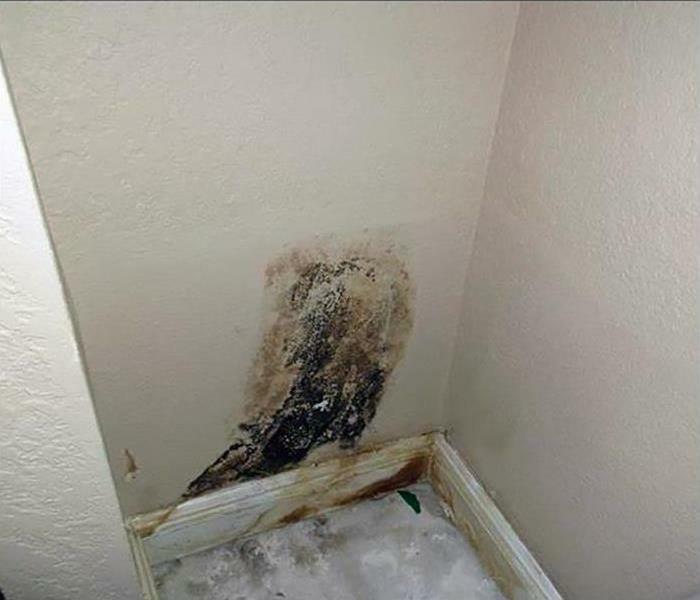 If you are confronted with mold, contact us 24/7 at (773) 434-9100. We can help with your emergency. Flood damage can deposit an enormous amount of water on your Chicago property’s flooring. 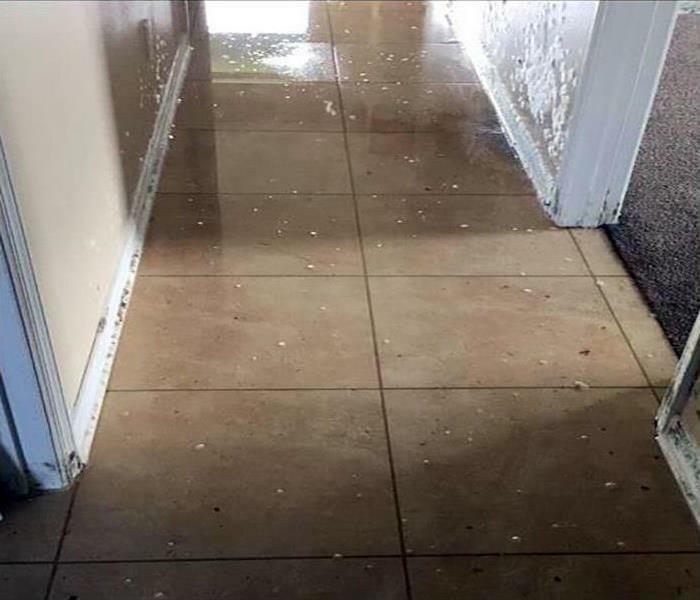 After removing all the visible water, your floors and walls it may seem dry, but there might still be residual flood damage moisture trapped that you may not be able see or feel. Building materials like drywall and wood are porous and soak up water. The hard to find moisture can result in warping and swelling of some materials. This could potentially lead to mold damage. If the water and moisture are dealt with quickly the potential for mold growth is greatly diminished. SERVPRO of West Loop/Bucktown/Greektown relies on space age moisture detection devices to seek out any hidden moisture. Once found they have the equipment to dry these small unseen pockets of moisture before they become big problems. We are ready to serve you, night or day. Just call (773) 434-9100. We come dry your floors the high tech way. 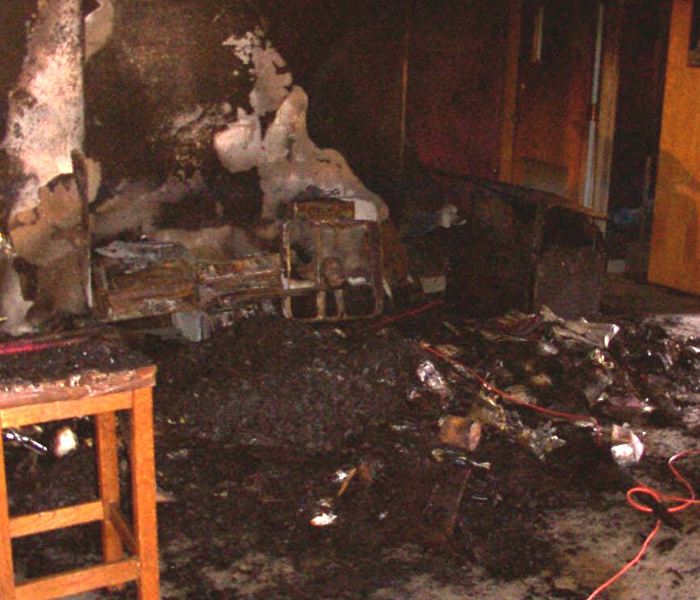 Fortunately, the fire damage to this Chicago classroom caused no injuries. However, the furniture and the room required a sturdy crew to complete the fire damage clean up phase of the project. The remainder of the restoration was swiftly completed. The SERVPRO Chicago crew saw the project to it’s triumphant conclusion. If an emergency event like this befalls you, SERVPRO of West Loop/Bucktown/Greektown will be there to help. Just call when you need us at (773) 434-9100. We will always be there to help. Chicago storm damage dumped three feet of water into this retail facility. The client needed us to act quickly and effectively so they could resume daily operations. Time is money. 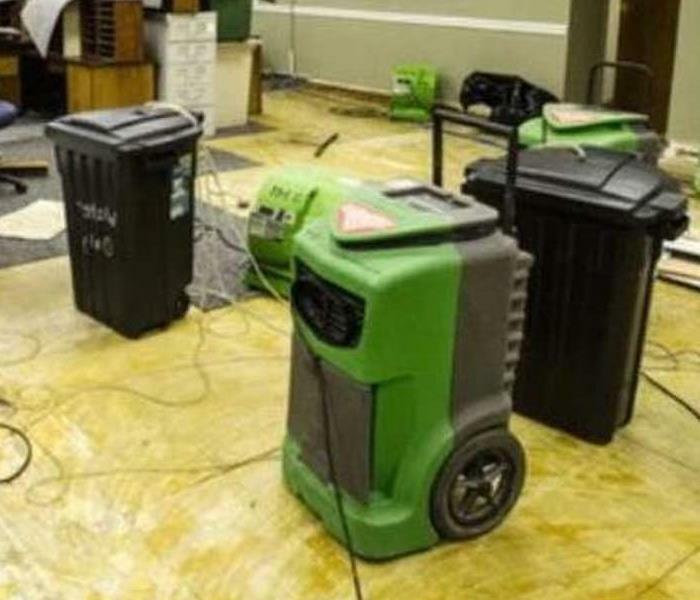 SERVPRO of West Loop/Bucktown/Greektown had the required number of technicians and sufficient state of the art equipment to provide water damage clean up followed by large scale dehumidifying and drying. We were able to do what the client needed. They were back to normal operations in a very timely manner. 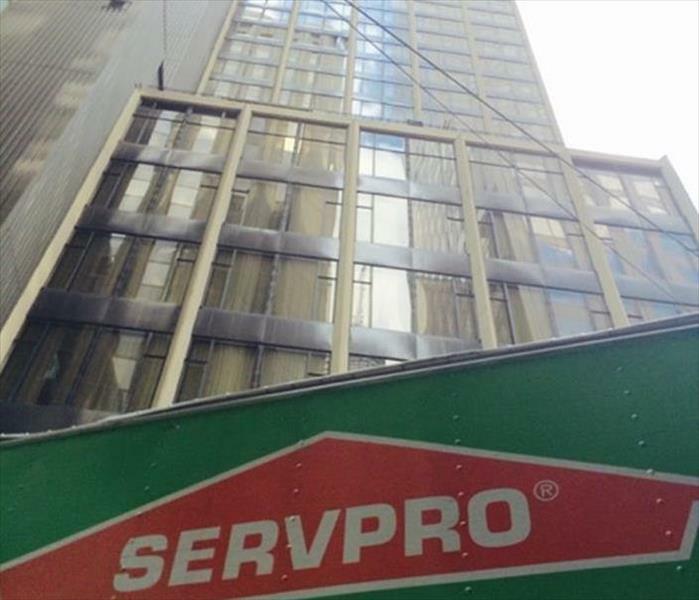 SERVPRO of West Loop/Bucktown/Greektown is experienced with large scale losses and the restoration. If the need arises, call us at (773) 434-9100.